The WT90H3230MGSG is a semi-automatic top loading twin tub washing machine from Samsung that comes with various features such as a wash timer, drain selection, spin timer, wash selection and much more. 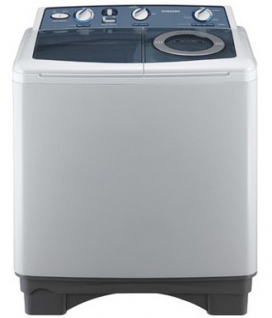 The Lowest price of Samsung Semi-Automatic Top Load Washing Machine WT90H3230MGSG in Pakistan is Rs. 24,900, and estimated average price is Rs. 24,900.